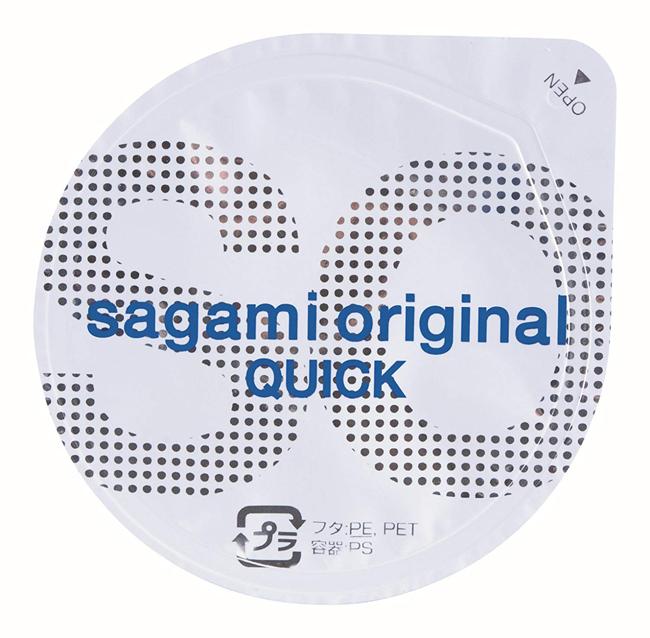 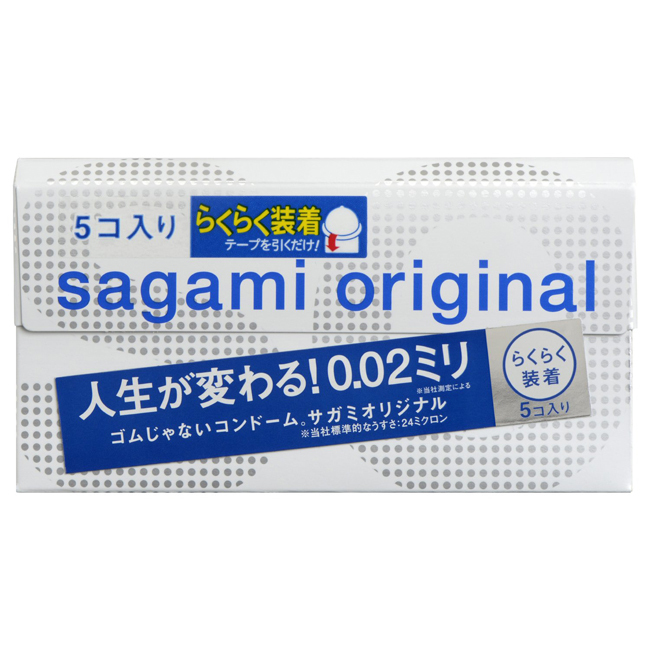 Sagami Original 002 Quick equipped with a one-touch wearing tape that lets you put on a condom lightening fast! 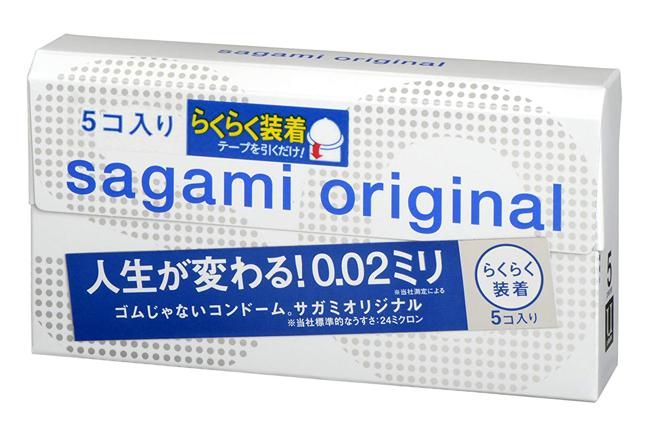 - Non-latex. 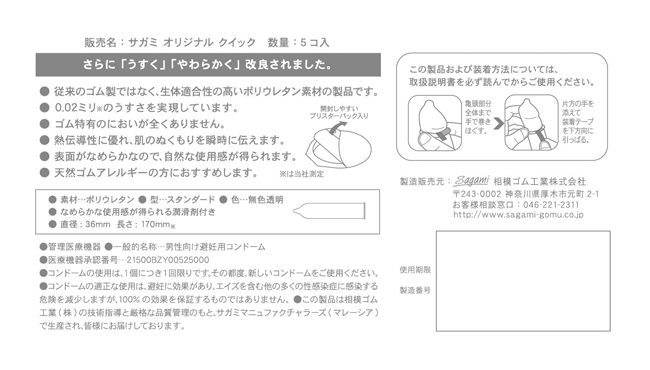 It is made of PU.